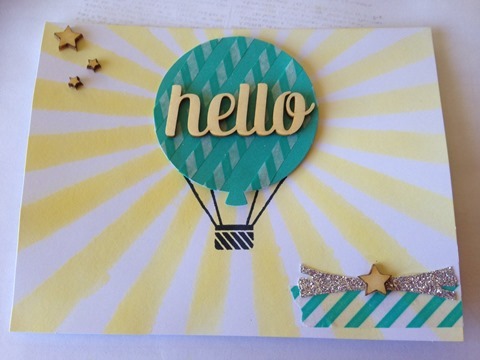 Welcome back to another amazing Creative Inkers Blog Hop. Today we are show casing the new Occasions Mini Catalogue. 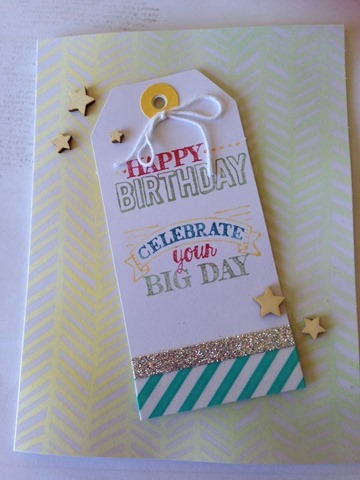 Tonight I am sharing with you the Simply Created “Hooray It’s Your Day” Kit. 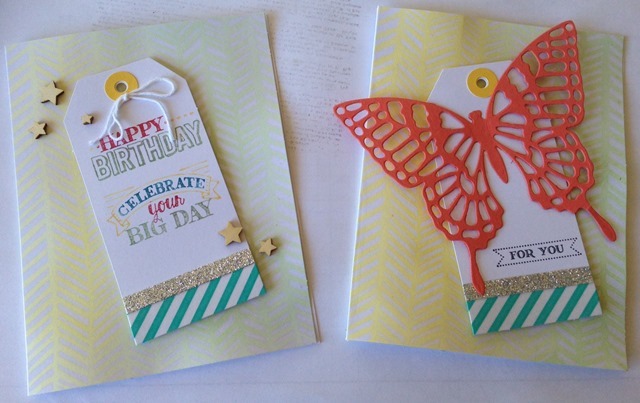 This kit makes 4 different cards and 5 of each one, so a total of 20 cards plus envelopes. I have created 2 from each design. 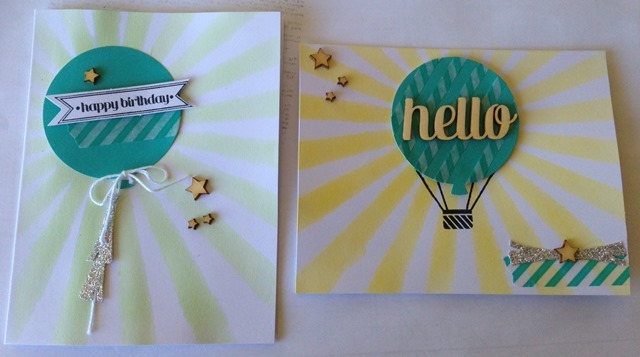 The first card is a straight copy from the kit and the second is a similar card but designed by myself. Here is the same card but designed by myself. 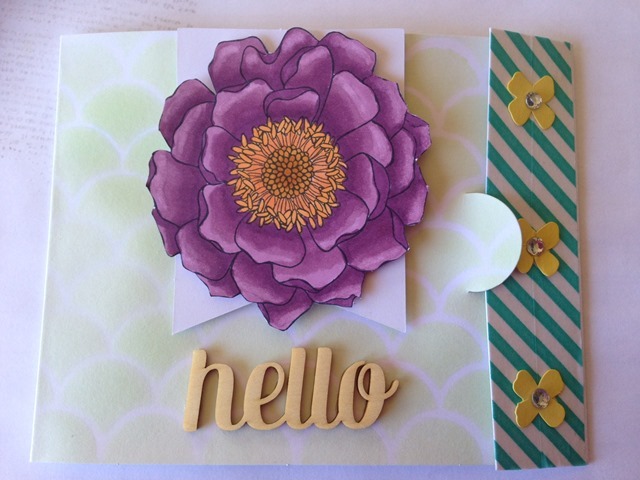 For this card I have added the flower from Blended Bloom. 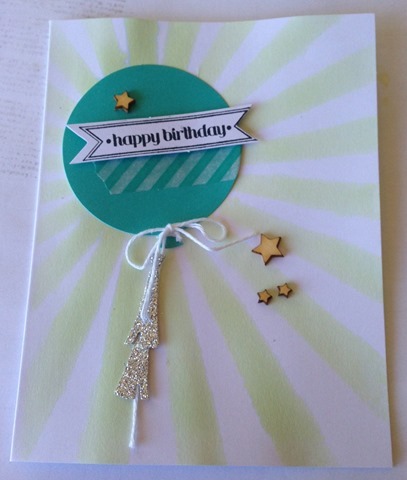 My design for this card, I have centred the sun burst back ground before I spritz it. I have also cut the tops off the silver embellishments and placed a star to cover the join. The basket is also from the set Celebrate Today. Here is a list of all the creative ladies on this blog hop in case you get lost along the way. 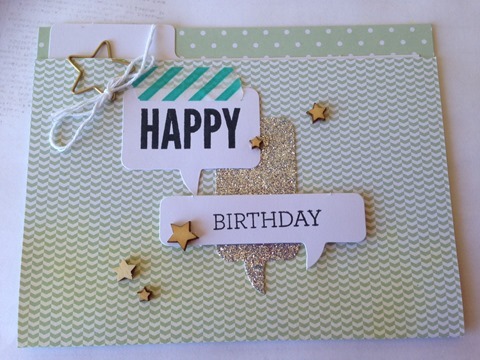 Thanks for sharing this kit with us Narelle. You’ve made a lovely job of it. Wow lots of ideas here narelle. Wonderful creations. This is a great kit. wow. you have really stepped up these projects. 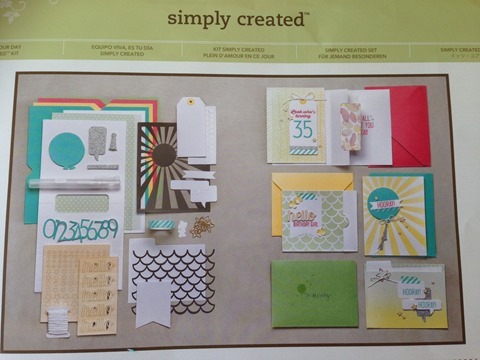 I love what you have done and it will be great for our customers to see what they could do with this kit too. Stunning set of cards. I love your own designs best. WOWsiers Narelle, you’ve been busy! 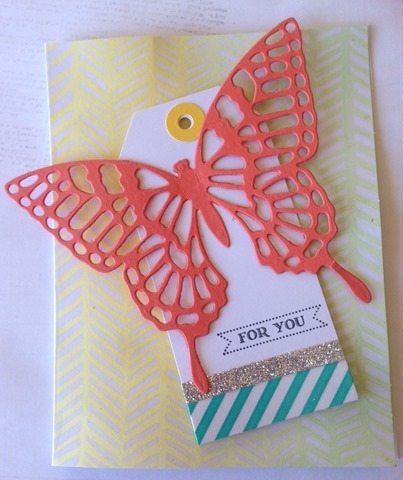 These are wonderful Narelle! 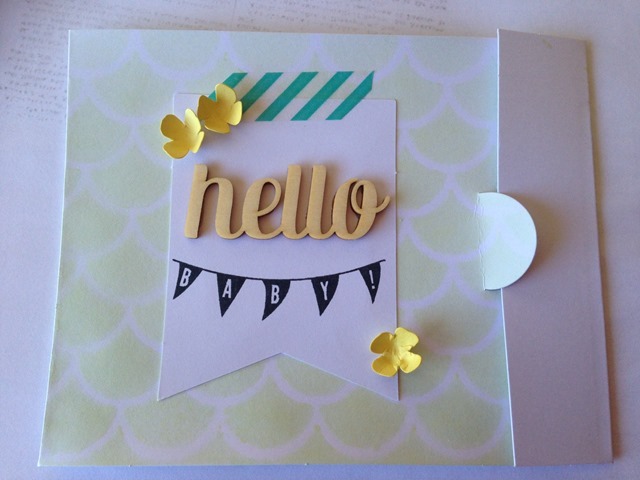 I love how you have put your own twist on the designs, and also how you have used different stamp sets for cards than the one that goes with it; proves just how versatile this kit is! Hi my name is Narelle Hoggard and I live in Auckland, New Zealand. I am married to a wonderful and very supportive man Nick and together we have two gorgeous children, Caitlyn and Bradley. 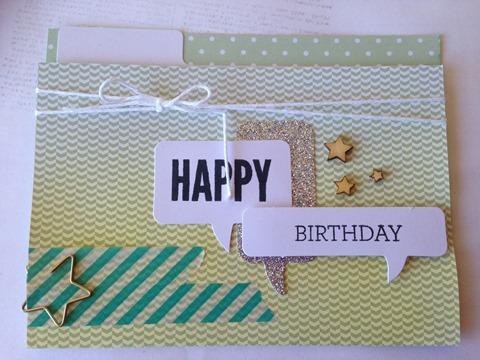 I love to scrap and make cards, I find it very relaxing at the end of the day to create a page or a card.